The community of Fallbrook began in the area known today as Live Oak County Park. The first permanent recorded settlement was in 1869, when the Vital Reche family settled here. They named the new community Fall Brook after their former homestead in Pennsylvania. The present town site was plotted in 1885. The original Fallbrook School, though closed as a school in 1939, still serves the community as the Reche Clubhouse. One of the community’s churches was constructed in 1890 and is still in use today. Indeed, Fallbrook's gift is a quiet, persistent allure to research and preserve its story. The result is a remarkable historical museum which attracts visitors to its pictures and stories. It serves to honor old-timers for their contributions while challenging newcomers to become part of the legacy. Oak trees were the original primary trees in Fallbrook. Olives became a major crop by the 1920's and continued through World War II, but were eventually phased out in favor of the present avocado and floral industry. 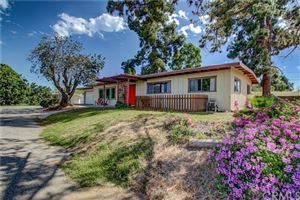 Though the population continues to increase at a moderate pace, Fallbrook maintains an easy lifestyle and retains its "Friendly Village" atmosphere loved by residents and envied by visitors.Fallbrook has always featured a rural countryside with all the amenities nearby. Our community of approximately 50,000 is spread over 127 square miles. A drive around the area reveals active lifestyles. Four golf courses meander through rolling hills within a 10-mile radius of the town center. Fallbrook is "life in the country" with a feel which sets us apart and gives all who live here a special pride. It is as country as you want yet within a two-hour drive of the major west coast urban areas. Much of Main Street will remind you of a vintage main avenue through the old part town. The wooden buildings, many of which are historical, with unique fronts, are but a small part of the charm of Fallbrook. Art, gifts, antiques, jewelry and hand-made items abound in the area. For even more information on the history of Fallbrook, please visit the Fallbrook Historical Society.